As seen at ETHOS 2007, we have put together a step be step video on how to build Damon Ogle's design of an Institutional Barrel Stove. 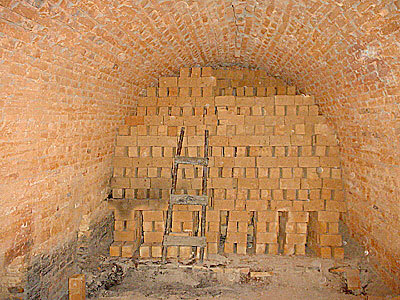 The stove is constructed from 200L barrels. 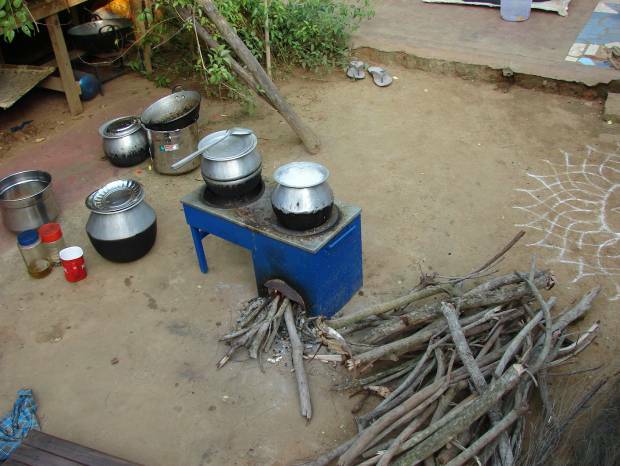 The stove was able to bring 45L of water to boil in 37 minutes using only 2150g of wood. 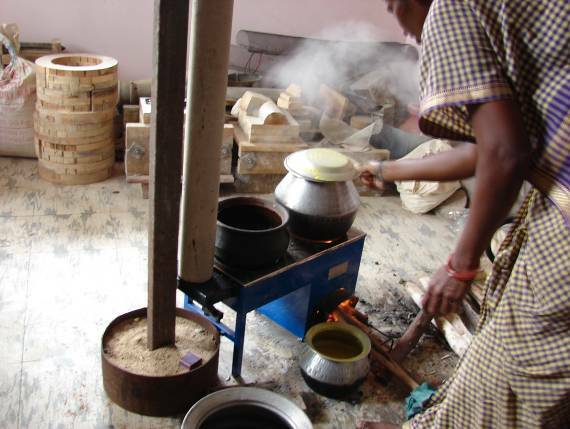 In a Controlled Cooking Test the Institutional Barrel Stove used 73% less fuel than an open fire!! The video is also available on DVD for $10 + Shipping. 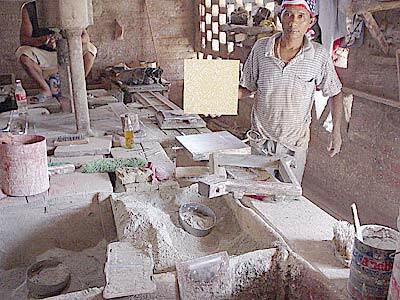 Tilemaker in Central America making "baldosa" a floor tile. 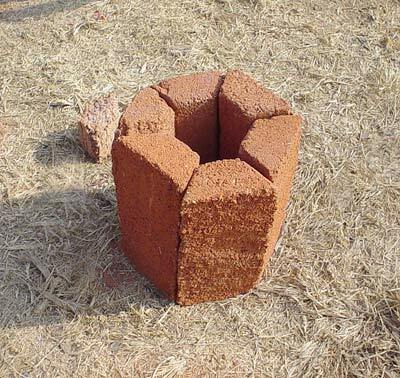 Performance benchmarks for biomass cooking stoves were presented at the 2006 ETHOS (Engineers in Technical and Humanitarian Opportunities of Service) conference by Dean Still, Nordica Hudelson and Damon Ogle of Aprovecho Research Center. 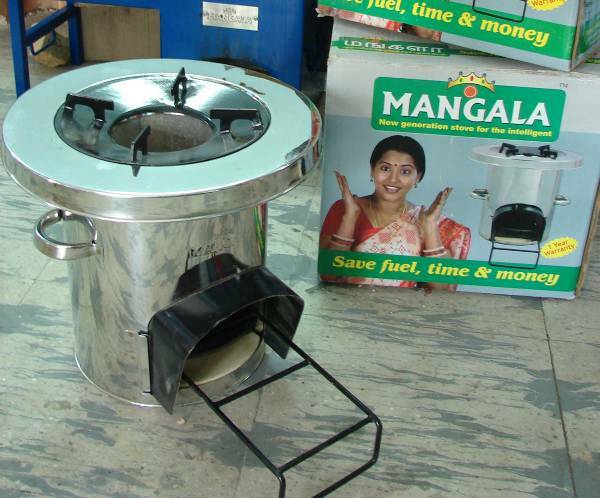 The benchmarks will be useful to stove designers and developers to compare their stoves against many others. 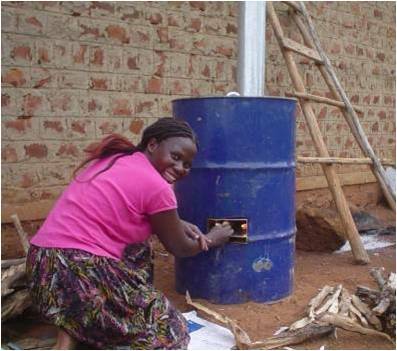 The benchmarks were derived from tests of 20 stoves (9 replications each) in work funded by Shell Foundation and the Partnership for Clean Indoor Air (USEPA).